Send 1 Kg. Mix Dry Fruit in a box to Chennai. Gifts to Chennai. Send Dry Fruits to Chennai. 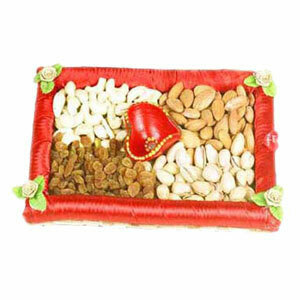 Description : Six Assorted dry fruits packed in a fancy gift box. Weighing 1Kg, is the ultimate gift for any festive occasion.